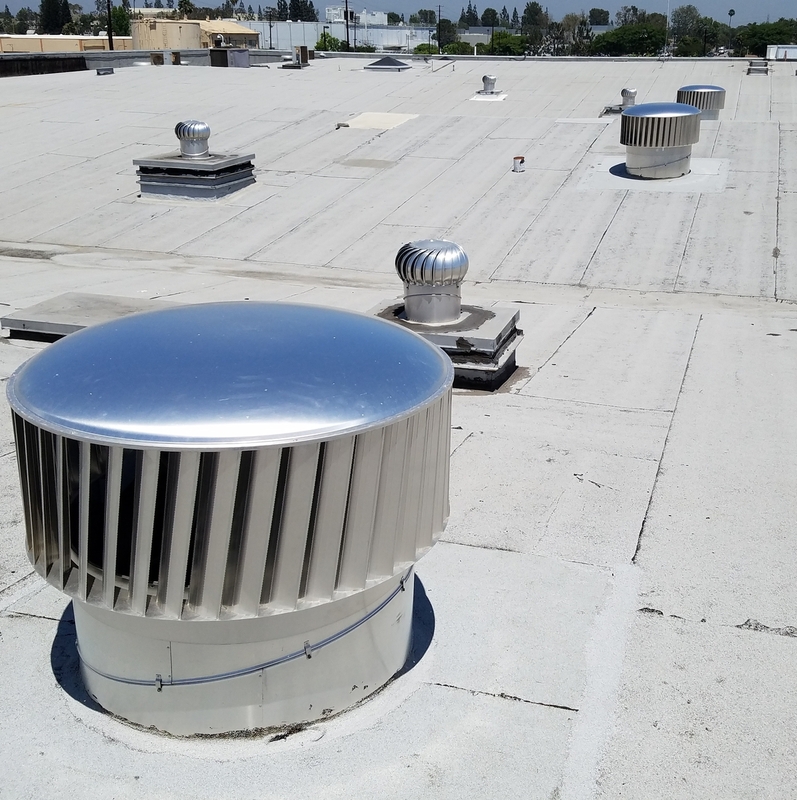 LA County Office of Education (LACOE) selects the ecoPOWER HYBRID solution for their warehouse. After the Facilities/Sustainability Manager observed the EP900 in operation at the EMC Expo in Long Beach, CA, he knew that this “NEW CLASS of Ventilator” would provide the PERFORMANCE they needed. By using just 3 EP900s, the LA County Office of Education improved the working condition for their warehouse staff. Even the installer from Johnson Controls was impressed with the over all performance of these HYBRIDS. This is the principal warehouse for Caterpillar products and spare parts for distribution to China, SE Asia and Australia. (2) to provide general ventilation to the remainder of the warehouse. The warehouse had two roller doors and banks of louvres at the front to provide decent make-up air but no openings around the remainder of the building. Therefore the task was to pull ‘new air’ across the interior of the building. A total of 9 ecoPower EP900 hybrid ventilators with thermostatic speed control were recommended for use over the general office area while 29 EP900s were recommended for the remainder of the warehouse. Customer elected to follow recommendations for the general office area but reduced remainder to 12 units. The additional 17 units are planned for the future. Very pleased with the result in the general office area.